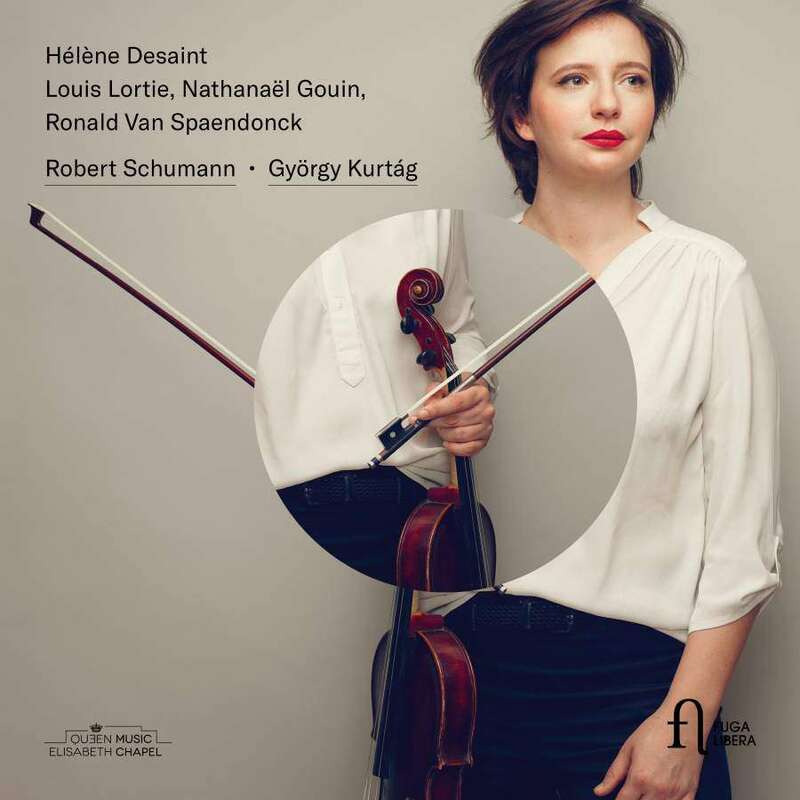 Fuga Libera Records has announced the release of French violist Hélène Desaint‘s new album: Schumann – Kurtág. Recorded with pianists Louis Lortie and Nathanaël Gouin and clarinetist Ronald Van Spaendonck, the disc features Robert Schumann’s Märchenbilder Op. 113, Romanze Op. 94 and Märchenerzählungen for Clarinet, Viola & Piano Op. 132 – coupled with Hungarian composer György Kurtág‘s (b. 1926) Signs, Games and Messages and Hommage. ”For a long time, I’ve been inspired by Schumann – a tormented and inward-looking composer, whose music describes his many complex emotional states …” Hélène has told The Violin Channel. “About one and a half centuries later, Gyogy Kurtag composed a trio as a tribute to Schumann, whose intensity and emotional power can be compared to that of Schumann’s … it was an obvious choice for me to put together a program which included works by both composers – as a bridge between two centuries …” she has said.